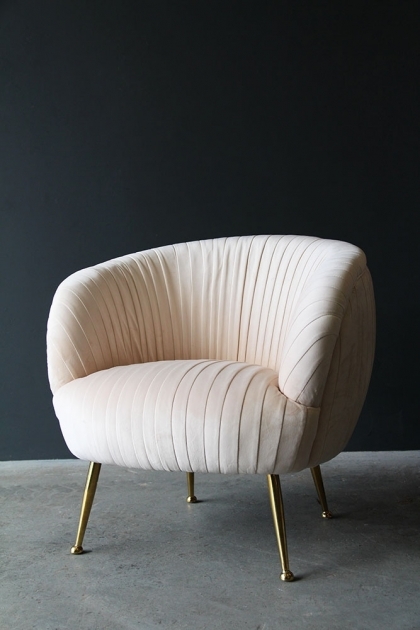 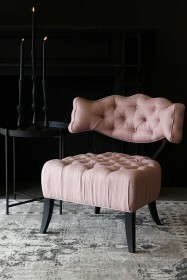 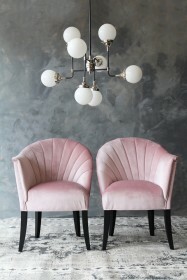 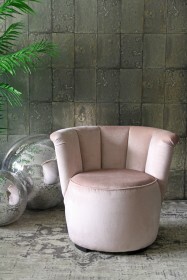 We're all about statement chairs here at RSG and boy does this Blush Pleated Velvet Tub Armchair make a statement! We imagine you to walk into your sitting room or bedroom and this chair is nestled in the corner with its plush appearance and subtle glamour, inviting you to relax after a long day. 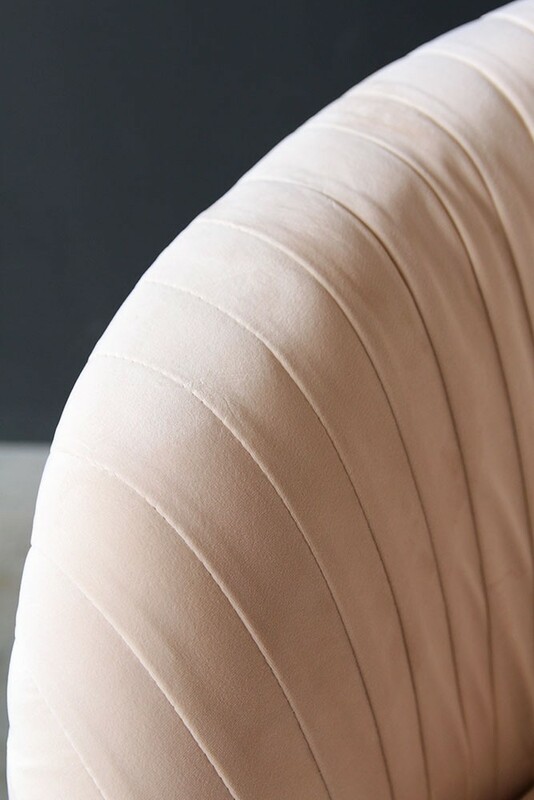 The beautiful pale blush pink velvet is pleated which means combined with the tub shape of the chair it has a scalloped effect. 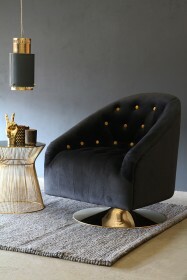 The gold coloured legs finish off the chair perfectly and enhance the class and chic style the chair has. 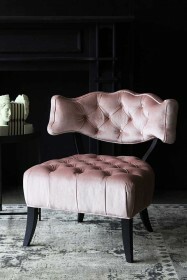 We think that the chair will instantly become your favourite and a real focal point of the room. 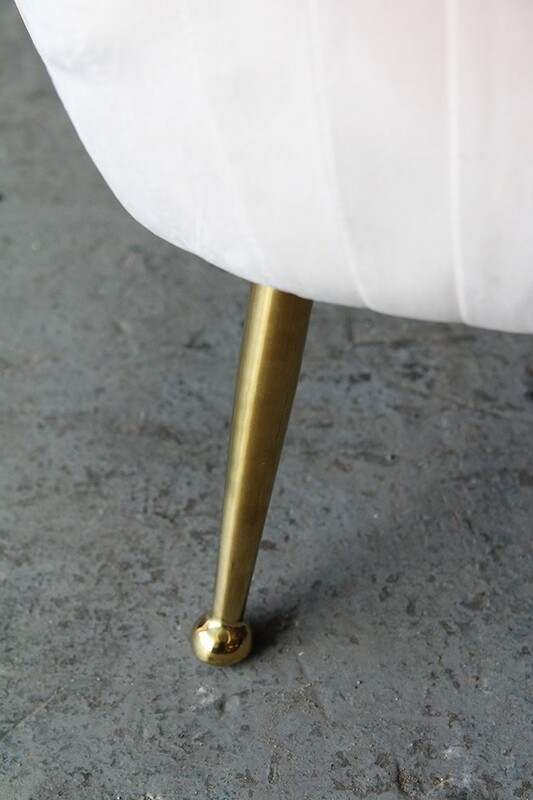 Please note: The legs arrive in the zipped part of the base.